“Never put your eggs in one basket”, they say. Perhaps these words of wisdom have been repeated and spread amongst the masses just a tad bit too much. Otherwise, why else would so many people have developed the mindset and the desire to own multiple properties? Properties are an investment that don’t come in cheap neither in time, nor in financial terms. So unless you’ve hit the jackpot, you’ve most likely scrimped and saved your hard earned cash just to be able to finally buy another property to add to your existing collection. Before we go any further, let’s PAUSE for a moment. When it comes to the higher-ends of investment, you should never make rash decisions. To illustrate my point, let us examine some of the potential issues associated with managing more than one property and which are often glossed over. 1. Are you ready to deal with more problems? Having more tenants and properties means that there are more things that can now go wrong. At the same time, there is an expectation from every one of your tenant that you will be able to respond to their every request promptly, regardless of how many other problems you need to attend to at the same time. For many property owners, the time and effort it takes in keeping tenants happy have turned landlording into their full-time job! 2. Are you able to find a property which people would be willing to rent? One of the greatest risks in buying new property just to rent is the inability to see its shortcomings until a tenant moves in and starts making complaints. 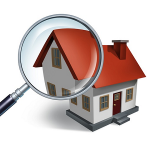 Often we become so preoccupied in the search for an affordable property, we forget to be as thorough with our property search as we were the first time. 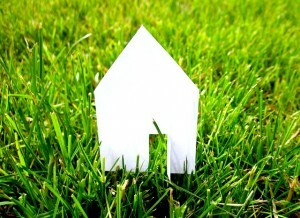 So never forget to consider the location, affordability and potential popularity of a property before making the buy. Another thing to bear in mind is that if this new investment does fail to rent out, the profit you make from your other properties will be drained into the repayment and upkeep of this new property. This means less income for you, so think carefully about it. 3. Do you have the time to dedicate yourself to more properties? We already know how being a landlord for one property consumes a lot more time than you would have imagined. This responsibility will only get bigger when you purchase more property in hopes of renting them out. So ask yourself whether you can realistically dedicate more time to your investment. 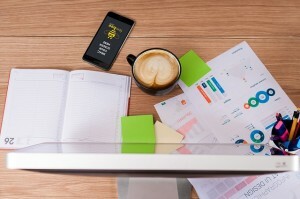 Will this impact your performance at work? Would you have enough time left for yourself? Now being a landlord is stressful enough. Being a landlord for several properties is another matter entirely. You will need to ensure that every tenant is well looked after, and that none of them feel as if they are being neglected in any way. 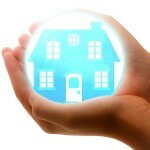 The best way of doing this would be keep all the documents of one property – the contract, bills, tenant references etc. – tucked neatly into one file. It will make it a lot easier to find what you’re after. If you trust a certain company to fix the bipolar showerhead for the tenants living in the Queenslander you bought eight months ago, wouldn’t it make more sense to use them again for the six other properties that you landlord over? Not only is it efficient to dispatch the same contractor to all your properties, having them as your regular go-to store could enable you to secure bulk contracts from the company! Not only do you need to determine when you will conduct house inspection for all your property, you also need to constantly re-assess the value of your assets. Don’t fall into the trap of using a blanket lease cost for all your properties. 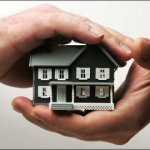 It may be the most time efficient thing to do, but it could potentially cost you your tenants. 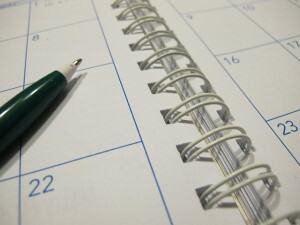 Now as great as it is to have a solid timetable with all your visits penned into your calendar, and as efficient as it is to visit all the properties you own within the same area on the same day, bear in mind that you have the schedules of your many tenants to handle. What this means is that many of them may not be able to accommodate you on the day that you have planned. Hence you will need to give your tenants enough notice in advance and you will need to be flexible with inspection times. Most importantly, do not miss anyone out! Forgetting to call your tenant back, failing to make prompt repairs and falling behind on rent collection are just a few things that you do not want to end up doing when trying to manage multiple properties. If this does happen, then it’s time to up your game. Become more organised. Jot down notes whenever a tenant calls you, and put them in a spot where you will always see. That way you can be reminded of all the different errands that you need to run. If at any stage you are starting to struggle with juggling the heavy workload and responsibility that comes with managing multiple properties, you should consider getting professionals to help. The easiest way to do this would be hire a property manager. They can do anything. From screening your tenants, fulfilling legal criteria to attending maintenance needs; many aspects of your job are taken care of for you. They have knowledge, experience and resources at their disposal to help with ensuring that all your property are running in tip-top shape. They enable you to earn extra time on your hands, which will be a relief especially for those who are managing these multiple properties as a part-time job. I can tell you now that all of this is going to be a lot of work. However, when done properly and correctly, you can easily reap great rewards from owning multiple properties. Not only do these properties help dilute the impact a vacancy has for your income, it is a solid investment that can even act as a stable form of income!